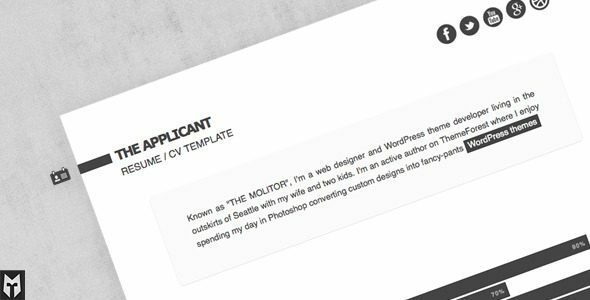 The Applicant is a super simple resume/CV template. It’s designed to be easy to read and navigate. Template is fully responsive and has a built-in contact form. Print stylesheet also included for maximum readability when printed on paper. A fool flatters himself, a wise man flatters the fool.